Some believe machines could do their work - right now. 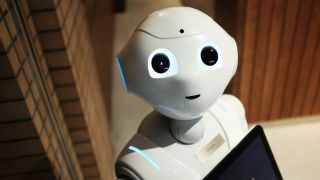 As Mayor of London Sadiq Khan unveils new research on London being Europe’s capital for AI, another report came out suggesting people are worried about AI taking their jobs. Streetbees published a report called ‘The Impact of AI’, in which it polled 3,400 people worldwide, 800 of which were from the UK. Looking at UK-specific results, it was said that 67 per cent of UK adults worry machines will be doing jobs currently done by people. Almost a third (61 per cent) believe this will cause an economic crisis. Roughly the same percentage (65 per cent) think there should be rules preventing companies from replacing people with machines, with only 15 per cent disagreeing on the matter. At the same time, they are also optimistic about tech improving their lives. Two thirds (66 per cent) think AI will make life easier in the future. “Technology is disrupting the economy and society from top to bottom, and our research shows that people in the UK recognise its potential to completely change how we live and work. Clearly, many British people aren’t sure what technological progress means – not just when it comes to their own jobs and futures, but also for the country as a whole,” commented Tugce Bulut, CEO and co-founder of Streetbees. Every fourth Brit believes a machine could do their job now, the report added. Those that think a machine can’t yet replace them, believe the main reason is that their position requires a human touch. Other notable argument is that machines aren’t flexible enough to do specific jobs. Manufacturing, IT and finance are the three industries that will be most affected by the changes.